Opposition political parties in the country have described Malawi President Peter Mutharika’s decision to blow more than 500 million Kwacha on a trip to the United Nations (UN) General Assembly in New York as “irresponsible” and “selfish”. Mutharika who has been accompanied by 111 people including chiefs, friends and party fanatics has already spent K115 million on a one-way transport fare for the bloated entourage. She said amidst Malawians’ struggle to earn a living, the president has demonstrated Democratic Progressive Party’s (DPP) “love of luxury”. Kabwila says Mutharika is cruel. Kabwila said: “This illustrates his irresponsibility and cruelty to suffering of Malawians in time when life is very difficult. The kwacha is taking a huge hit, hospitals are not functional and there is looming hunger. This cements that it is not a caring government. Kabwila questioned DPP administration’s transparency and called for submission of names of people who have gone to New York and their role at the UN meeting. The People’s Party (PP) has also expressed worry with the DPP administration’s way of running the country. PP publicity secretary Ken Msonda said that DPP is undemocratic and its leaders doesn’t have the welfare of poor citizens at heart but only aims at enriching themselves. “The leadership is clueless on how to run this country. It is talking about other government institutions tightening economic belts on expenditure as the country is experiencing economic meltdown whilst the Executive is doing the opposite,” said Msonda. An economist has since advised Mutharika to stop having too many international trips saying that government must consider the economic status of the country. “There are a lot of challenges that have rocked different government sectors that need much attention. In my own observation not all the meetings need him to participate,” said the economist Nelson Mkandawire. Mutharika has always said his foreign trips are crucial to the development of the country since he engages international communities to help government activities. “Have we seen that development? We will agree with the president when we see the so called development,” said Mkandawire. 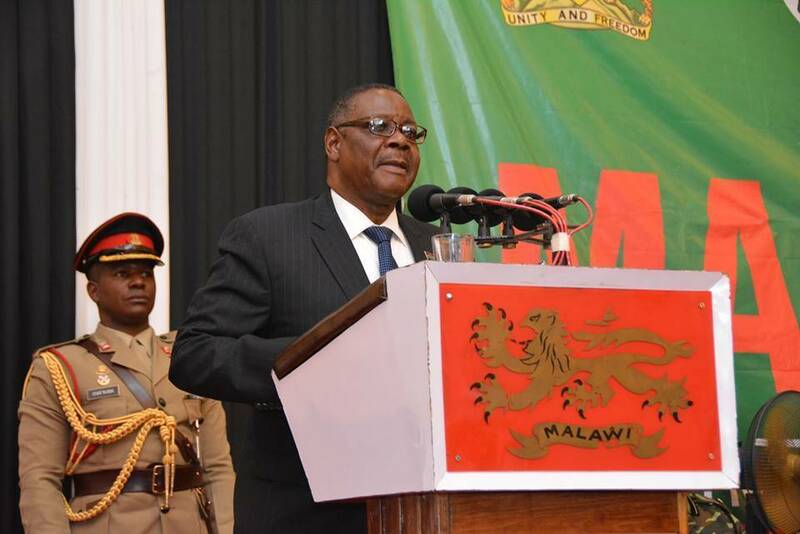 Meanwhile, Minister of Foreign Affairs and International Cooperation, George Chaponda has downplayed the reports saying that the Malawi leader has only taken aboard 20 officials, a figure which experts still believe remains high. *Additional reporting by Luke Bisani. Bola Yesu azibwera tikaone zina kumwamba!!!!!!! Akanatenga iwe bwenzi utakana kuti iiii bwana muwonga ndalama????? Pamalawi zimayenda chonchi basi,zitayeni si size yanu.Anthu apita kukadya MONEY. Mr Prensident I,was always at your Back …But This Nonsese .Now Of Taking .on Board .Such .Bunch .of .People …What Are They For there …And .U .Was .In .Chaina .Few .Weeks ago ..Cheeting .There .That .I .ll Change .Malawi .With Such Poor Cariber …..Oh!! Mother Malawi Is Dimminished …and Its Becoming A Selfish Manueverd State ……. zopusa. mmene mumamusankha mmaona ngati chani? mabungwewo, azipani zina, mafumu, mavenda , mapolitical analysits, etc onse apita nawo nde who is to match now? Peter is not leader he is selfish indeed,during ulamurilo wa pp magesi samazimazima, kwacha was some how stable ,pp govt timaona ngati things has gone bad apapa nde ndi worst. Kodi mfana uyu saulosi sakumamuyankhulako mdalayu bwanji,ife timaona ngati kuti akamapanga mbola iwe saulosi uzimuyankhula . Bola Ali president.keep on being in denial.apm beyond ur imagination. Mmmmmh! which imagination,what development can you point that APM has done since being elected as a president?,his brother the late was abrilliant man,first term he priotised development but with him the APM its (undiscribable) and he is just remaining with 2 year . Kod TB Joshua alikut atiuze zamoyo wamunthu ameneyu? May God judge them accordingly for this injustice. You are stupid Bright Chisale 500M is it justified Mxiiiii . why mutharika dat, mutharika dis mostly on dis page eeh??? doz it means h z da only 1 making mistakes??? or h z da cause of evr problem evr malawian z facn??? Empty tin! you are talking as if you’ve lost some senses. Mutu kungadzadza ndimamina basis? Shame! Pretty Emmie….mwatani kod kod?? ?dnt u knw d@ wi work vry tiredlesly jst to make lyf simpo,bt c w@ our kwacha(thukuta lathu) is trited….devaluation z der,high tax,n c nw ndalama zovutikira ine okadyelera ndiwina,pali nzeru apa? don’t be ignorant guys,,let’s be realistic peter zamvuta&saying gud of him won’t chang ur status. w r nt sayn kut peter z ryt or wrng, bt da thng z abt dis page. peter,peter,mutharika,mutharika evr hour n den. evr1 z facn da hardshp bt w r pushn 2 earn easy life by hardworkn n w r dea…point of collection 2 u hu said dea z ignorancy in ma writnz coz ur da 1 blind n ignorant tel m wen dd o dis started?? wen dd pple spok abt o dis n wat dd dey gt?? kamuzu,bakili,bingu,joyc onse zinachitika zonsezi n anthu tinayakhula bt notn w get n nw zikuchitika ndi peter 4 dat y kutaya nthawi ndikulongolola ylo notn w wl gain at da end??….. sis #Gloria i gat u n w r o gt hurt 4 dat bt wen wl our pain last ylo our words cnt b heard?? VINDICATED!Whn i say empty heads tht is 1 characteristic of such pple:MAKNG ILLOGICAL DECISIONS.Thes idiots voted fr themselves. I guess MEC and its chair are Enjoying this movie. Wat benefit are we goin to get frm that luxurious and xpnsv trip ?? Ngati Mkulu Wake Sanali Kumva Za Munthu,Timayembekezela Kuti Uyu Angapange Bwa? (He Just Adopted That Style Of Leadership)Ngati Amakwera Helicopter Nkumazungulira Nayo Mdziko Muno Ali Nduna Mmene Ali President Timati Angataninso Kuposa Kudyelera Ngati Kumeneku? Ndalama apanga sponser ndi a UN, ngati mulibe nkhani kayaambeni ulimi wothilila kusiyani ndi kuuma mutu mwaonetsaa apawu osafusa kaye bwanji hahahahahah! Achewa inu mukulilanji apa, mulekeni mlomwe alamulile, inu zanu ndi nkhaza timadziwa kale, mulibeso chance pano!!!!!!!! Ngati Mkulu Wake Sanali Kumva Za Munthu Ndiye Uyu Angapange Bwa? (He Has Just Adopted That Style Of Leadership) Ngati Amakwera Helcopter Nkumazungulira Nayo Mdziko Muno Ali Nduna,Mumayembekezela Kuti Mmene Akhala President Angataninso Kuposa Kudyelera Uku? THESE NIGGAS BALLING WAY TOO HARD! GODDAMN! Leave politics aside and read what Gerald Viola said. Stop making unfounded allegations. Many of those that have travelled with him have been invited by the UN Agencies in and the bills will footed by such bodies. How on earth should we expect such a wicked bunch of leaders to improve lives of malawians? These people don’t have the spirit of God in them. The devil is in charge of the affairs of this nation. Akapito,a Mayaya, a Mutambo, a khondowe ndi anzao ali kuti kuli zii ngati sanamve za khaniyi. chomwe amalawi mwamva ndi figure ya 111 ppo basi? kapena simunamalize kuwelenga mpakana munsimo? We gonna see 2019 these foolish presednt must go to heil, why he is not recognese the poor? where unemployment pipo can get k35 000 to pays school fees? especialy villagers esh! now work up malawi stop sleeping lets fight for change again. k115 milion only a single trip while other are on the bed biternes with pain without medicine! u will answer all murder cas during judgment in heaven 4 sure! why wait for 2019 nanga akazabelaso?or if amene asankhidwe 2019 azakhaleso opoila? Iwe za 2019 pitala alibe nazo ntchito, whether u’ll vote or not adzaberanso. 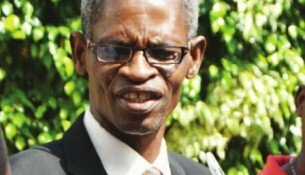 Osafaniza ndi maiko ngati zambia,Nigeria ndi malawi kuno uphawi ndiwosayamba njala mkati ndiye mungafanane ndizambia chimanga akungawilani komweko tangosiyani zidyani misokho yanthuyo basi mtima watilimba. kkk mu Sova ife kwanthu kulibe presdent! Amabungwe tithandizeni,enafe patokha sitingakwanitse ma demo! Mr Kapito,where are in all this or shud we say mukusinza? Thank God am not educated, because nkanakhala ophunzila nkanakhala chitsilu, Bob Marley! the sad sad life of malawi. we malawians jst never learn. Yes thats being irresponsible…. 4 wat now?? this cannot be true! !…this should not be allowed! !…shame shame…what about hospitals and the poor in Malawi?? Guyz pepani madzi akatayika saoleka tingopempha Mulungu kuti tizafikeko 2019 kuti mwina nkuzasinthako zinthu. Osadanda guyz zosezo Mulungu akuona ndipo Mulungu sataya wake. nde zokanikazo 2019 silero . .tikhoza kupangapo kanthu mu umodzi nanga amene azavoteledwe 2019 akazakhalaso opoila?muzadikilaso the next election ? Pelekani maganizo anu amwene tingathe kuchita chani? Popeza mkuluyi satsutsika. Vuto mmalo mokapanga mademo anthu amakaba ndiye mmalomwake timangotaya miyoyo yanthu ena osalakwa bola ya chikalatayo koma. Konma anwene apa ndiye zivute zitani 2019 sangazabele olopang’ono. Kodi inuo muli ku treasury kuti mudzidziwa kufotokoza bwino izi kapena is your stupid propaganda against apm at its best?? Kodi inu wakulu, mumatamba eti? Nokha simungaone kuti kumene wapangako ndi kudzikonda? Koma inuyo simudziwa kuti dziko la malawi ndi losauka kwambiri? Kodi inuyo umphawi simuudziwa? Why are you clapping hands for nosense? I think Mr. Luwi must go for brain surgery!!!!!!!!!! mr luwi @ wat best r u trying 2 say? Chokani amazoba u r worried coz inuo olo anthu akwanu sali mgulu…akanakhalamo mukanaimbira mmanja…losers!!! Luwi ndiwa ku Malawi ameneyu????? Ndi foreigner ngati mbuyache apm! President wanu…..coz ameneyo si wathu,ma vote was dube so he has jst begun what all proffesors can do,when they are in his shoes. If in the nxt one year he is stll presdent expect to be sold bck to the british………….all of you. That Man..!!!! Can never be president. Firstly Malawians shud not get worried about wat Pitala is doing cz this is wat we voted for and we gonna reap wat we voted for ,,,, Secondly, almost evry highly educated pipo do not bother about poor pipo, they rather thnk of filling up their pockets inorder to enrich themslves,,, and these pipo are always dangereous cz they cn withdraw up to 800 million at once jst fr their allowances and up kips , so those Proffesors are vry vry dangerous wen it cms to financll issues, but pipo will kip on applauding dem by regarding them as innocent ones cz of their qualificatns,,, So the more they get educated, the more they becm liquidators ,,,,, Mxiiiiiiiiiiiiiiiiii …. Mabunge aja omenyera ufulu wa anthu alikuti? Akudikila zifike pa #worst ndiye ayambe kuchita organise ma demo? We must b patriotic enough not jx to chat on this topic as we r doing.We r already suffering in so many ways. kkk!amalankhula aunt tiwo akanyozedwa basi…adya zimabanzi..sangalankhule. Et mpaka ndi amzake amene amamwa nawo mowa et! Tinveko zina pulizi,,,aaaaah tatopa nazo izi,,this man is a lover of himself,concieted,a slanderer,he doesnt even hav natural affection,he z jus so puffed up wit pride he will not go unpunished..
No nid 2 blame him kz evry gvmnt daz ds!BOMA XUENDEXA ND ADAN AKO XMPLE JB! so yu are saying they shud use the money to buy drugs,maize whatsoever…then wat wil be the tràñsport for thoz ppo going to UN meeting. ?…wiĺ u gv them? Even a chicken can think better than you. when u hear ppo saying educated savages! !…they ar x100 beta thàn 2 of u..who z suffering tody en ž not receiving medication…who z starving today..if so,can u share àll of them MK500Million?…who ar u to thnķ wise more than the clergy?…which university dd both of u go?. where u were told dat implementation starts b4 planning…en go baķ to ur foxes ask if one can solve de nxt problem b4 de current…do u thnk the policy makèrs are nt aware of whiçheva so calĺed čhalĺeges u âr sayinģ??…Barbarians!!! #Limi..if the owner of ds açcount z an imbecile.good that coz u ar just UNÇIVIĹIZED!! !…en u ar very far to where i am…it wl take almost 400ýears fo u to be here…so sorry fo dat truth! Mmmmmm, bt u may think 4 others. Pple suffer evin die at de hospa coz of lack of medicin, kumakanjir ndie nanj.kkkkkkk. State House is further informing the public that UN Women has sponsored women from all over the World to attend the UNGA in order for these women to understand the concept of He4She Campaign, the UNFPA has also sponsored some youths to the General Assembly to mediate and share common knowledge on the youth empowerment in the Strategic Development Goals. Othervarious NGOs in the promotion of Human Rights, Gender and protection of women and children against all violence towards the vulnerable groups have also sponsored attendance of women,youth and other human rights defenders across the global and Malawi is not spared. Mashona Sangaziwe Mavuto Akumudzi Ataa! State House has responded to this issue. Other various NGOs in the promotion of Human Rights, Gender and protection of women and children against all violence towards the vulnerable groups have also sponsored attendance of women,youth and other human rights defenders across the global and Malawi is not spared. – State House Facebook Page. There is more in the text than is in the title. I do understand Chaponda is UDF(Opposition) and he is foreign affairs minister. He has four people coming from his office. And in his capacity as foreign minister, his cost is being met by the United Nations. Ministry of Trade and Industry has two people. Office of the President and Cabinate has two people. Cardiac arrest is waiting 4 him. Lets put politics aside and be realistic,our president has just shown than he doesn’t care about his poor citizens….uku timati nkhosa kudyetsa m’busa m’malo moti m’busa azidyetsa nkhosa,,,Peters IQ is -0.guys anthuwo kuchuluka mpaka kudzadza ma min bus 8,akakachita phwando kuti wakwanitsa kupusitsa a Malawi. It might be good to find out how many delegates other countries are getting to the UN General Assembly. For it might be a surprise the number is a good average. Ndipo ziko la Malawi lapitisa anthu ochepa ku UN,other country like Nigeria up to 800 deligates,Zambia 250 pple fufuzani azanga olemba ndi Ntchito ya boma akukagwira , thanks the Press secretary. for clear information keep it up – Patrick Kabambe comment on State House Facebook Post. thus why akungokwezakweza zi fees, mbuzi! bwantasa! Did u know why he do so?everyone didn’t come up with an answer abt lake it’s only U.N. can end this; how much money u spend to negotiate with Tanzania? Don’t u know that we’re under siege by Tanzania? Msiyeni akudya zotsilika, akamagwa asadabwe, disc reapt! He Is Iresponsble & Selfish He Cant Use Such Money On His Journey!! 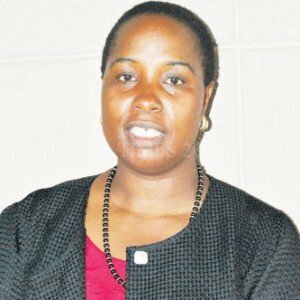 Nanu pena tamamvetsani nkhani, izi sizachipani ndi zadziko……zimenezo nzonyadira,kupepela eti? Are u a malawian or??? Peter Kwa2 Anatpasa Mbuz 4 Nd Abakha 24 Ndy Chomunyozera Nd Chan? Anthu amene akupweteketsa kwambiri dziko la Malawi ndi anthu akumwera.Chifukwa cha umbuli wawo,kuchuluka kwawo komanso kungovotera kuti bola wakwathu ndiye chifukwa chake tikupedzana ndi atsogoleri ankhanza, okuba ndi osaganizira za ena.